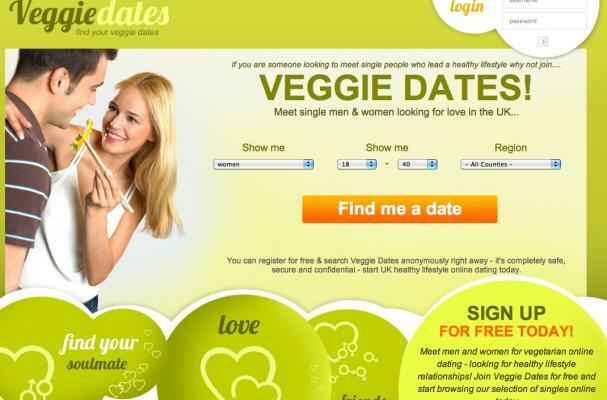 Veggie Dates, a U.K. dating site for vegetarians and vegans, recently got a stern upbraiding from the Advertising Standards Authority for falsely claiming that its site catered exclusively to singles who don't eat meat. The authority discovered that Veggie Dates boosted its database of singles with carnivores, thus making its veggie-exclusive claims misleading. Veggie Dates acknowledged in a prepared statement that "meat eaters comprised a majority of its users," but maintains that the site wasn't intended to solely cater to vegetarians. "A member could indicate they were vegetarian or not by ticking a box in their dating profile. Members could then browse other members by looking at their profiles to see if they were also vegetarian." Veggie Dates has since added a line to the bottom of its website that stipulates in part, "...we cannot guarantee that non-vegetarians won't join the site." Judging by the screenshot above, which was captured shortly before this post was published, do you think the Veggie Dates website is misleading? There is nothing wrong with dating someone who is not a veggie. We never know where we will find our soul mate. Please do not limit yourself. But if they are veggies even better. Enjoy life as far as we know we only have one. So be smart and enjoy what you can. That's my take.